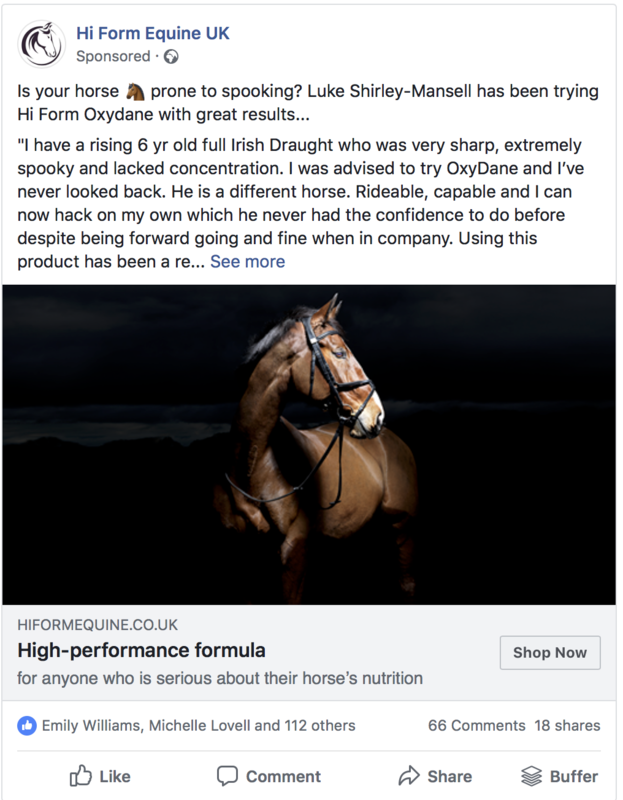 Hi Form Equine are a premium quality daily horse supplement company based in the UK. They are fairly new to the UK market and have several well established competitors within their sector. 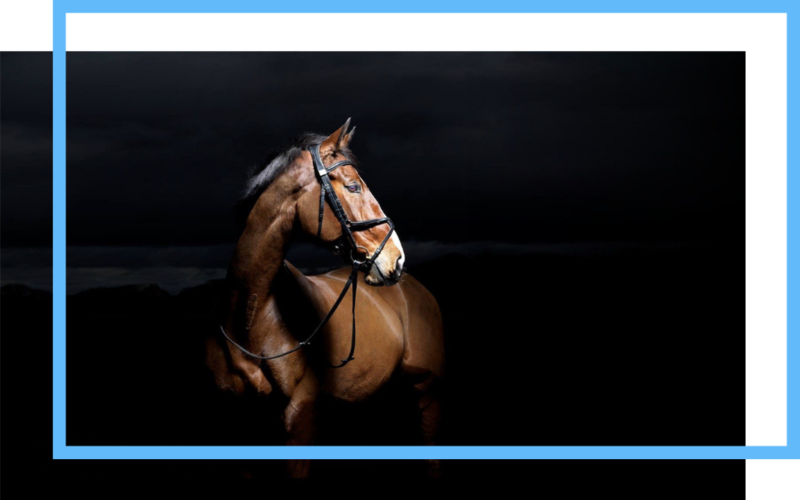 Hi Form Equine wanted to reach new people, build trust in their brand and ultimately increase their customer base. Hi Form knew that new customers would become long term customers so it was important to target the right people, who would understand the brand and invest in a premium product. After identifying the client profiles, I set out to reach them using interest based targeting. After testing different audiences to find the right people and were soon able to identify the right audience for the brand. Having driven the right people to the website we were then able to create great lookalike audiences to allow Facebook to do the hard work for us and find more of the right people. Hi Form was new to market so they needed to gain trust and build customer loyalty. Initial testing showed that the audience responded really well to reviews and testimonials from customers. I created several ads and ran an engagement campaign to aggregate social proof from existing customers. The brand was competing with other very well established names in the supplements sector, so it took a while to break through. After 2 months of testing we were seeing increasing click through rates and conversions. Month 3 saw the ROAS increase to 6.5 and remain steady. Hi Form’s ongoing campaign, which began in November 2018, is continuing to increase website visits and convert new customers . “Our company is young, working in a crowded market where there is much conflicting information for the average horse owner. Laura quickly understood the market, our USP’s, what makes us stand out from the crowd and has fundamentally allowed us to be heard above the noise. If you need help with connecting with your ideal customers get in touch. I can help you to generate leads and increase sales with Facebook ads.